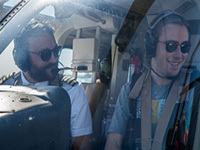 A once in a lifetime experience - an exhilarating flight in a modern helicopter. This gift voucher is open dated and valid at multiple locations around the UK. 5 minutes, with 5 minutes in the air. 10 minutes, with 10 minutes in the air. 15 minutes, with 15 minutes in the air. 45 minutes, with 30 minutes in the air. 110 minutes, with 60 minutes in the air. 60 minutes, with 45 minutes in the air. 15 minutes, with 5 minutes in the air. 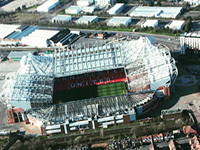 From Barton airport, climb up to 1500 feet for a birds eye view of the skyline of the great city of Manchester. 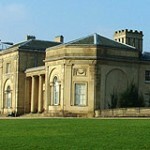 Enjoy a fantastic 15 minute flight from Barton over Bolton, Atherton and some of the most historic parts of Lancashire! City tour. Manchester, heart of the industrial revolution and home to Coronation Street, Man United and Man City football clubs, Lowry, the list could go on and on. What better way to take in the sites than by helicopter. This eighteen minute flight goes from an airfield close enough to Manchester but still in countryside. You really don't have to get very high before you can identify all those landmarks with which we are all so familiar. 25 minutes, with 18 minutes in the air. 10 min flight for two people. 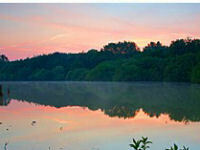 From Barton airport, climb up to 1500 feet for a birds eye view of the skyline of the great city of Manchester. 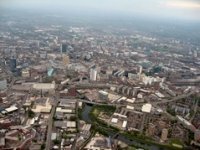 This is a 30 minute flight which takes in some of the most famous places of the county of Greater Manchester, heart of the industrial revolution. A fasinating round trip over Rochdale, Todmorden and Bolton. 30 minutes, with 30 minutes in the air. 40 minutes, with 30 minutes in the air. 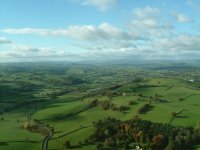 Enjoy a fantastic 15 minute flight from Barton over Bolton for you and a friend, Atherton and some of the most historic parts of Lancashire! 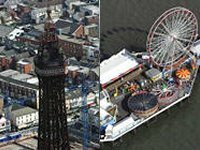 This is a 30 minute flight for two which takes in some of the most famous places of the county of Greater Manchester, heart of the industrial revolution. A fasinating round trip over Rochdale, Todmorden and Bolton. Perfect for romantics! Enjoy a fantastic 15 minute flight for you and your friends from Barton over Bolton, Atherton and some of the most historic parts of Lancashire! Giants and waterfalls tour. A spectacular flight over stunning landscapes. 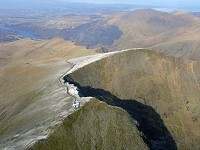 Snowdonia has some of the most breathtaking scenery in Britain and now you can see it from the air. See if you can spot any Dragons or Giants! Magic and Mountains tour. A magical flight through Snowdonia national park. The breathtaking scenery will stay with you forever! 60 minutes, with 18 minutes in the air. Join other excited passengers in the cabin of our swish modern helicopter. Buckle up, don the headset, the engine starts and soon... WHOOSH! You are off on a fantastic picturesque tour of the local area. 30 minutes, with 20 minutes in the air. Your seat on the helicopter awaits! 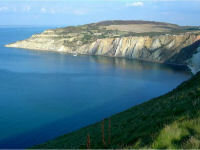 Enjoy the scenery of the amazing Dorset coastline and countryside from the air in a modern and stylish helicopter. These twelve minute flights go from airfields close enough to London but still in countryside. You really don't have to get very high before you can identify all those landmarks with which we are all so familiar. 20 minutes, with 12 minutes in the air. These eighteen minute flights go from airfields close enough to London but still in countryside. You really don't have to get very high before you can identify all those landmarks with which we are all so familiar. 20 minutes, with 10 minutes in the air. Pleasure flight in the local area. Full 30 minutes in the three passenger R44 helicopter. Why not arrive at the races in style and miss the queues? 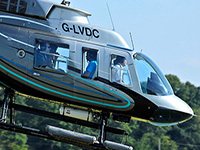 Let us fly you into Cheltenham races by helicopter during Gold Cup week. Now you've really arrived!! 1 day, with 20 minutes in the air. Pleasure flight in the local area. Full 45 minutes in the three passenger R44 helicopter. 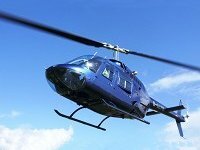 Experience the thrill of helicopter flight in the fabulous Bell Jetranger. Up to 4 passengers. Pleasure flight in the local area. 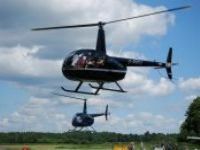 Full 60 minutes in the three passenger R44 helicopter. 75 minutes, with 60 minutes in the air. 1 hour, with 45 minutes in the air. 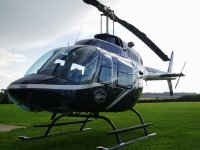 A 45 minute pleasure flight in a 4 passenger Bell Jetranger taking in Cheltenham, Winchcombe, Broadway, Stow on the Wold, Chedworth, Northleach, Gloucester and much more!! 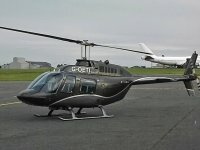 A 45 minute pleasure flight in a 4 passenger Bell Jetranger helicopter taking in Gloucester, the Bristol Channel and Severn Bridges, Chepstow, the Wye Valley and more..!! Pleasure flight in the local area. Full 60 minutes in the fabulous four passenger Bell Jetranger. This really is the only way to shop in the capital! Take a helicopter right into the heart of London to the spectacular Battersea heliport perched on the banks of the Thames! 1 day, with 3 hours in the air. 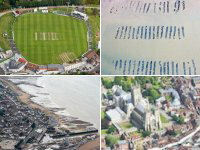 See the delights of the coastline from Margate round to Pegwell Bay. 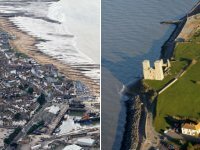 Fly over the fantastic beaches including Botany Bay, Joss Bay and Viking Bay as well as the coastal towns of Broadstairs and Ramsgate.Don't forget your camera. 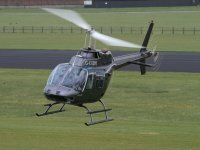 This tour will take you over the spectaclar Rochester Castle and Cathedral and the famous Chatham Dockyard before giving you a superb birds eye view of Brands Hatch.Don't forget your camera. If you are interested in history this tour is a must. You will fly over Medieval and Tudor castles; the cinque port of Sandwich; the lighthouse where Marconi sent his first broadcast to France and finally the famous White Cliffs of Dover. Follow the North Kent coast, past historic twin towers and Roman fort at Reculver, flying over the picturesque seaside towns of Herne Bay and Whitstable, before turning inland to take in the sights of Canterbury's world-famous cathedral. 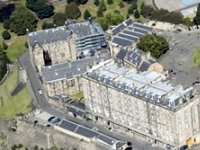 A historical interest flight for you and a friend. You will fly over Medieval and Tudor castles; the cinque port of Sandwich; the lighthouse where Marconi sent his first broadcast to France and finally the famous White Cliffs of Dover. 50 minutes, with 40 minutes in the air. This tour will take you and a friend over the spectacular Rochester Castle and Cathedral and the famous Chatham Dockyard before giving you a superb birds eye view of Brands Hatch.Don't forget your camera. 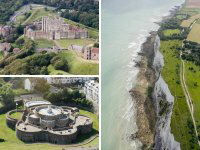 The ultimate trip around Kent - follow the coast south past Sandwich and Deal to the White Cliffs of Dover. See the Battle of Britain memorial at Capel le Ferne before turning inland to fly over Ashford and Canterbury on the return trip. 70 minutes, with 60 minutes in the air. 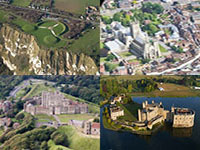 The ultimate trip around Kent - fly over Rochester Castle and Cathedral;Leeds Castle and Ashford to the Battle of Britain memorial then along the coast as far as Walmer Castle before turning back inland to return via Canterbury and Chatham. 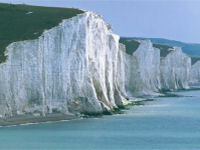 Fly south along the Kent Coast to the White Cliffs of Dover. Turn inland follow the edge of the Downs to the city of Canterbury. 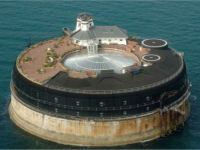 On return flight you will see Whitstable and Herne Bay and finally the Reculver Towers. Valid for 2 persons. The ultimate trip around Kent for you and a friend - follow the coast south past Sandwich and Deal to the White Cliffs of Dover. See the Battle of Britain memorial at Capel le Ferne before returning to Manston over Ashford and Canterbury. 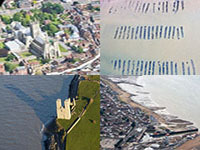 Either fly along the Kent Coast to the White Cliffs of Dover then inland to the historic city of Canterbury.On return flight you will see Whitstable and Herne Bay and finally the Reculver Towers OR Choose your own route. Valid 4 persons. 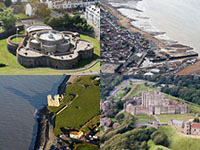 Choose your own route OR The ultimate trip around Kent - follow the coast south past Sandwich and Deal to the White Cliffs of Dover and Battle of Britain memorial before returning to Manston over Ashford and Canterbury.Valid for 4 persons. Experience the buzz of taking off, flying around and landing in a helicopter, one of the most amazing and breath taking sensations you will ever experience! 20 minutes, with 5 minutes in the air. 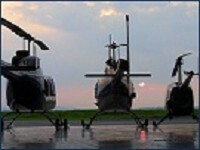 Take to the skies in one of our Bell JetRanger Helicopters for an experience you will never forget. Enjoy breathtaking views of the local countryside at over 1000 feet. 10 minutes, with 5 minutes in the air. 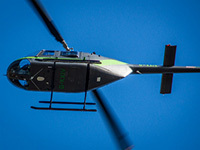 Helibuzz Helicopter Pleasure Flight for Two, Experience the buzz of taking off, flying around and landing in a helicopter, one of the most amazing and breath taking sensations you will ever experience! Helibuzz Helicopter Pleasure Flight for Three, Experience the buzz of taking off, flying around and landing in a helicopter, one of the most amazing and breath taking sensations you will ever experience! 30 minutes, with 15 minutes in the air. Definately one for the sports fan - whatever your sport. 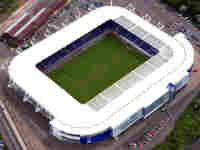 You will be flying over the Walkers Stadium, home of Leicester City FC, Leicester Racecourse, Leicestershire Country Cricket Club and even the athletics track. 35 minutes, with 20 minutes in the air. 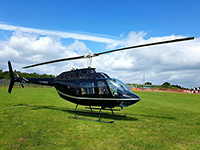 This amazing helicopter flight will take you across Rutland Water and Barnsdale reservoir as seen on BBC Gardeners World. Don't forget your camera. A local sightseeing tour lasting approximately 15 minutes taking in the picturesque Leicestershire countryside and village sights. Includes commentary from your pilot. Don't forget your camera. Valid for 2 people. Definately one for the sports fans - whatever your sport. You will be flying over the Walkers Stadium, home of Leicester City FC, Leicester Racecourse, Leicestershire Country Cricket Club and even the athletics track.Valid for 2 people. 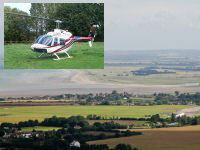 This amazing helicopter flight will take you across Rutland Water and Barnsdale reservoir as seen on BBC Gardeners World. Don't forget your camera. Valid for 2 people. Liverpool Buzz. 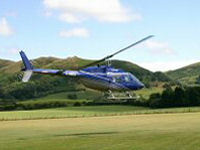 Experience the magic of helicopter flight at the worlds most famous racing venue. A great flight for those who have not been in a helicoptr before. The Grand Tour. 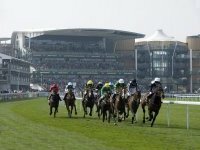 Your flight departs from the centre of Aintree Racecourse, the home of the Grand National and one of the most famaous sporting venues in the world. Liverpool City Tour. Your flight departs from the centre of Aintree Racecourse, the home of the Grand National. 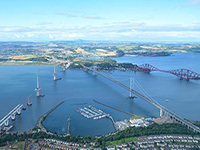 take fantastic flight over one of the most famous sporting venues and cities in the world. Liverpool and Chester Tour. Your flight departs from the centre of Aintree Racecourse, the home of the Grand National. This flight takes you over one of the most famous cities in the world and one of the oldest. 50 minutes, with 30 minutes in the air. Panorama. 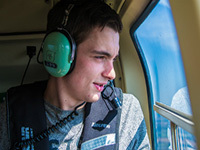 A fantastic way to experiance the exhilaration of helicopter flight down the beautiful Servern Valley and over Powis castle with its famous gardens. Take an exhilarating flight over some of the most spectacular scenery in Britain, usually the reserve of the birds soaring overhead. 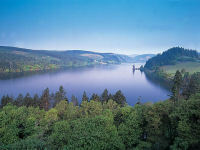 Wales is a beauiful and facinating country with all it's mythes and legends and what better way to see it. A 30 minute excursion into the stunning hills and valleys of mid Wales. From the glorious seclusion of Lake Vyrnwy to the 240 feet high waterfalls at Pistyll Rhaeadr, highest in England and Wales, a flight you won't forget. 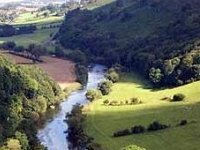 This Shropshire tour flies over this quintessential English county and has inspired many writers and artists over the centuries, PG Wodehouse described Shropshire as "the nearest earthly place to paradise". A 30 minute excursion into the stunning hills and valleys of mid Wales. From the glorious seclusion of Lake Vyrnwy to the 240 feet high waterfalls at Pistyll Rhaeadr, highest in England and Wales, a flight you won't forget. For 2 people. 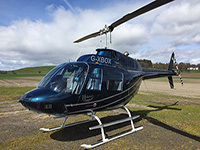 A magical flight for 4 people that takes in some of the most stunning scenery on the Welsh border, with views towards Cadris Idris the coast, Cheshire, Telford and the Wrekin in the east. 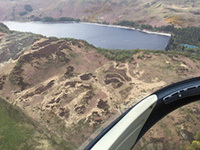 A truly magical helicopter flight through some of the most stunning scenery Wales has to offer. Lakes, castles, mountains, rivers and waterfalls this flight has it all! 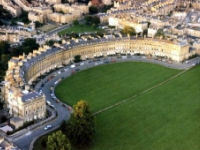 Enjoy a wonderful 50 mile sightseeing tour of both Bristol and Bath in one flight, taking off from Bath racecourse. 45 minutes, with 25 minutes in the air. 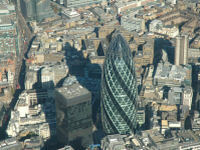 Enjoy a tour of London City from the air! 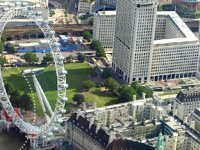 The shared flight begins in the Surrey countryside and follows the River Thames as you take in the sights of the City from a bird's eye view point. You'll spend approximately 35 minutes in the air. 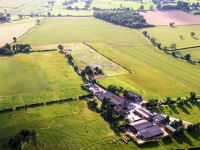 Enjoy a private tour of the beautiful Surrey countryside from the air! You'll spend approximately 25 minutes in the air along with your nearest and dearest. 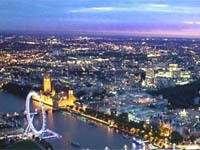 Share a bottle of champagne and take a romantic tour of London from the air for 2. 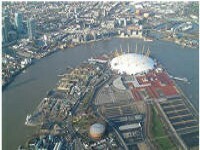 The flight begins in the Surrey countryside and follows the River Thames over London City. You'll spend approximately 35 minutes in the air. 1 hour, with 1 hour in the air. 90 minutes, with 90 minutes in the air.